OMG! 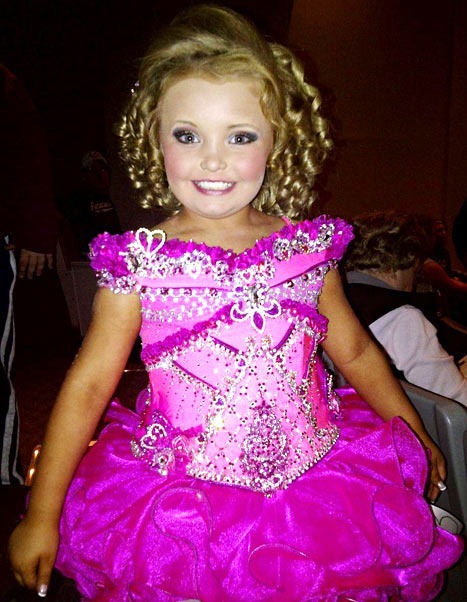 IS HONEY BOO BOO THE AMERICAN STANDARD? What is the connection between the fact that we score 39th internationally in math achievement levels and Honey Boo Boo, a graduate of “Toddlers and Tiaras” now having her own family reality show. I propose that our focus on the lowest common denominator culturally is related to the fact that students don’t know what lowest common denominator means. The first decade of the 21st Century, in addition to electing the first African American President will be known for the dumbing down of America. As an educator and mother of over 30 years, I believe that Honey Boo Boo’s mother and other mothers who sexualize toddlers are abusive. How much less responsible are those who watch them? Aggressive relationships may show the scars, but are those of passive aggressive personalities any less damaging? We ate out with our friends on Saturday and were joined by their 22 year old daughter and her boy friend. We gave the waitress 2 charge cards and asked that she split the bill 1/3 and 2/3s. She took 2 steps away from us and then asked, “1/3 and ¾?” Help! We are lazy physically and mentally. “Upgrade” was among my late sister’s favorite words. She was a master at getting a better room or on to the concierge floor of a hotel and did so politely, without any drama. We need to upgrade what we read, what we watch and what we say. And, no, I’m not an elitist. I grew up in a small 2 bedroom, 1 bathroom house in a town of 500 in Sullivan County in the Catskill Mountains of upstate New York. We were lower middle class. I attended NYU on a full tuition scholarship, and I still had to take out loans. But I am particular. Live in a trailer or a penthouse, but make it the best it can be. So, why did “no problem” replace “you’re welcome?” And when did “Handyman coming up at 8:30” replace “Is it OK if the handyman comes up now?” America, it’s time to upgrade.